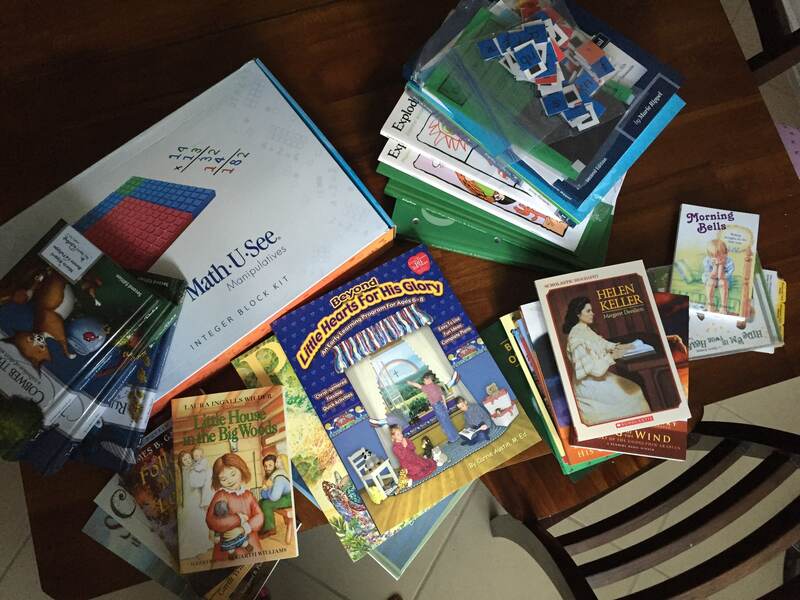 Last year I started a little challenge with my kids to read 365 books together. Partway through the year my daughter and I got sucked into some chapter book series that took us longer to finish, so our progress slowed down. But in February we checked out a couple dozen books related to African American history and plowed through them during Black History Month. 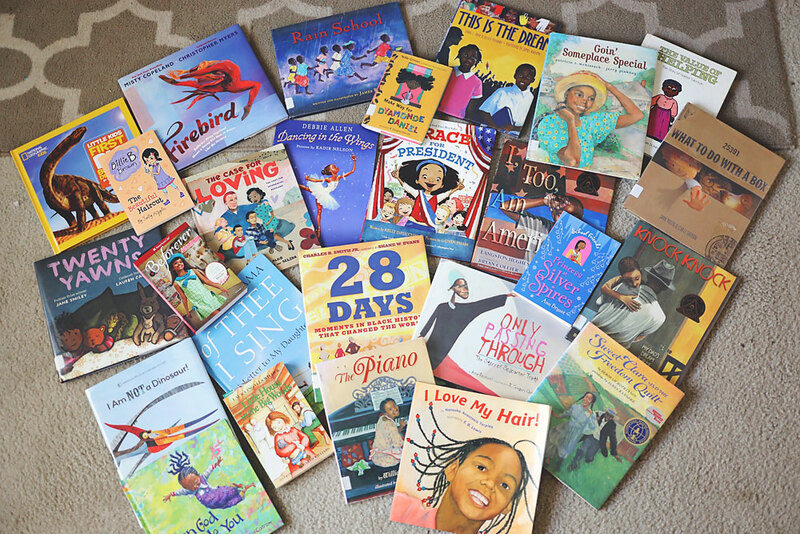 People frequently ask me what books we read to our kids about Black History, specifically slavery and Civil Rights. I’ve been meaning to compile a list for some time and I’ve finally done it! Here are twenty of them that we’ve loved that you can either find at your own library or order for your own collection online. If you do through our links we get a little kickback at no extra cost to you. 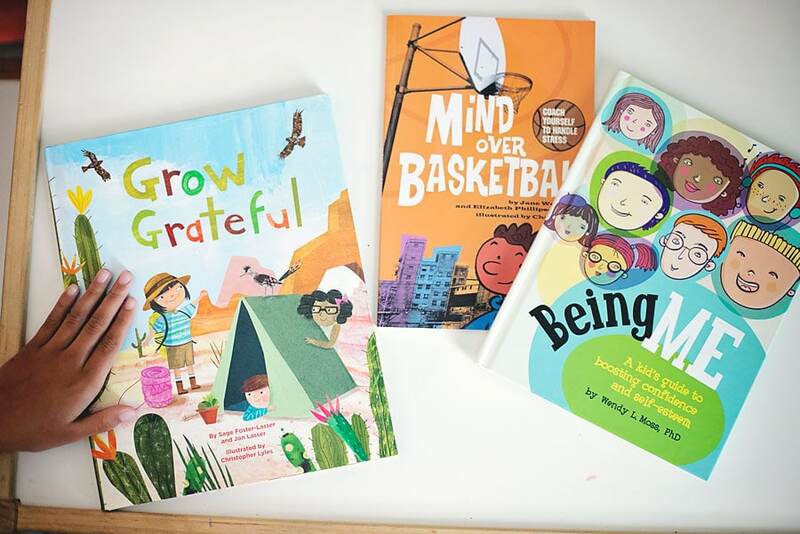 Not all of these are specifically related to Black History, but all are great children’s books that show diversity and many do dive into civil rights or slavery in ways that’s gentle enough for young children. I’ll point out our top favorites with an asterisk! 1. Little Melba and Her big Trombone*: The story of Melba Doretta Liston from daydreaming about music to to learning about her extraordinary gift. We loved this book about a trailblazing musician who followed her passion. 2. An American Girl: Meet Addy: The story of one girl’s family’s dangerous escape from slavery. Based in 1864 this is a great story of love, hope and freedom. 3. 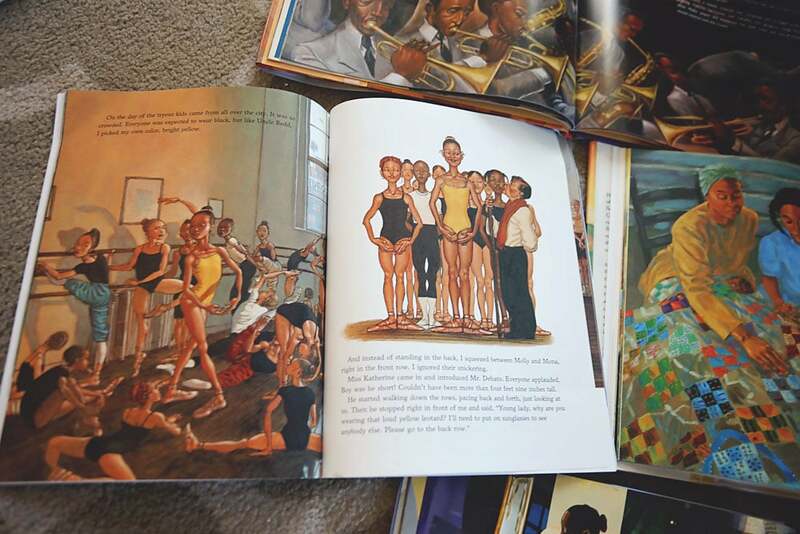 Make Way for Dyamonde: Not a story of black history but one hilarious book that’ll teach your kids a thing or two about being the new kid in town and trying to make a friend. Dyamonde has an upbeat and spunky attitude that has you rooting for her from the start. 4. Firebird: Ballerina Misty Copeland Shows a Young Girl How to Dance Like the Firebird: The title says it all. Gorgeous illustrations and a sweet story of a girl learning to believe in herself. 5. This Is the Dream: A touching yet simple story written as a poem in rhyme that takes you through the Civil Rights Era and the people who were fighting for equality. 6. Goin’ Someplace Special*: This was one of our favorite stories. Based in a 1950s segregated south, a little girl is on her way someplace special, where all are welcome no matter the color of their skin. We loved the mystery of wondering where she was going then the grand reveal. 7. Only Passing Through: The Story of Sojourner Truth*: We tend to hear a lot of stories about Harriet Tubman but this is a beautifully-told story of another inspiring abolitionist: Sojourner Truth and how she came by her name. 8. A Splash of Red: The Life and Art of Horace Pippin: Last year in our homeschool co-op we did a unit on Horace Pippin. This book tells the story of this self-taught painter who’s love of art and perseverance still inspires us today. 9. The Piano*: The story of a little black girl growing up in the early 1900s who loves music and learns to play piano from her employer. The older woman’s hands are to stiff to play the keys but together they learn to make music. 10. Of Thee I Sing: One of our favorite books that has a fun take on famous, strong individuals throughout history. 11. When God Made You*: I don’t know what I love more about this book. The gorgeous illustrations or the beautiful words. This book helps start a discussion about how God has a plan for their life, and they have a special reason for being here. At the end of the book the author drives the point home to love one another as sisters and brothers. Not a history book but definitely one worth reading to remind our children how they are unique, and how we’re all connected. 12. Grace for President: A fun story about a little girl running for class president. A great way to teach kids about the electoral college. 13. Martin’s Big Words: The Life of Dr. Martin Luther King Jr.*: This is a book we go back to time and time again. We read it every MLK Day and usually again and again through the year. The inspiring words remind us the importance of making change through light and love. 14. The Case for Loving: The Fight for Interracial Marriage*: Another book we like to read time and time again. A short story sharing the story of the Lovings, an interracial couple who took their case all the way to the Supreme Court, eventually overturning laws against interracial marriage. Crazy to believe this was only a generation ago. 15. Early Sunday Morning: June has a big solo coming up at church. She’s nervous but as the weekend goes on she gets love and encouragement from her family and friends. 16. Sweet Clara and the Freedom Quilt*: A great children’s book about the underground railroad. 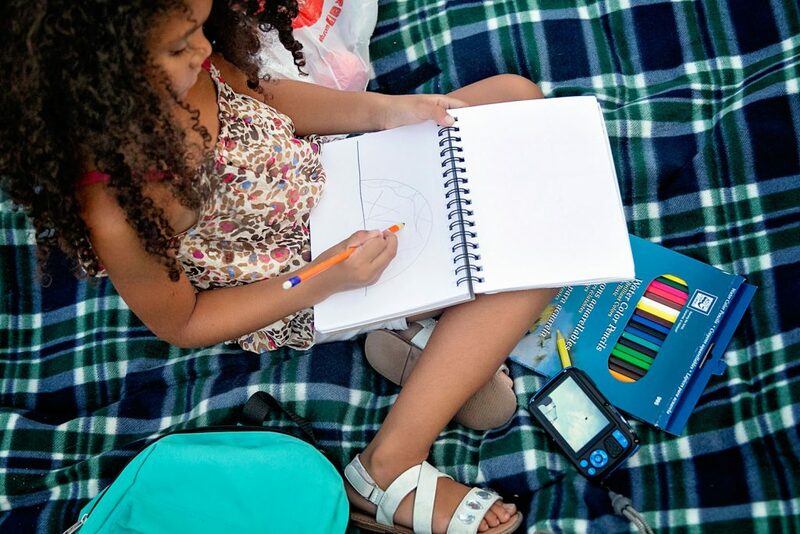 A little girl is learning how to sew and she designs a quilt that doubles as a map to freedom. 17. Dancing in the Wings*: A sassy young lady who doesn’t let her physical challenges hold her back, but makes them work for her. From the illustrations to the captivating story we love this book! 18. Follow the Drinking Gourd: My daughter first heard this book in Kindergarten. Pretty pictures and an easy introduction to the Underground Railroad. 19. Heart and Soul: The Story of America and African-Americans: A story over a hundred years of African-American history told from a 100-year-old narrator’s perspective. Take it slow, but the illustrations are absolutely breathtaking. 20. What Color Is My World? : The Lost History of African-American Inventors: A fascinating book about Black inventors you may or may not know about. From who invented the ice cream scoop to open heart surgeons. It may not be as interesting for younger kids but definitely kids in the upper-elementary grades and beyond. Those are some of our favorites we’ve come across so far. We’ll be sure to update this list as we add more. What have been some of your favorites? Have you read any of these? Share in the comments! With Sneaky’s summer arrival our homeschool plans for this fall are still up in the air. I love working with my kids. I love witnessing their “ah ha” moments and finding new things that interest them. It breaks my heart a little to think we may be taking a break from it all for a while, but I’m trying to cherish every bit of it until then. 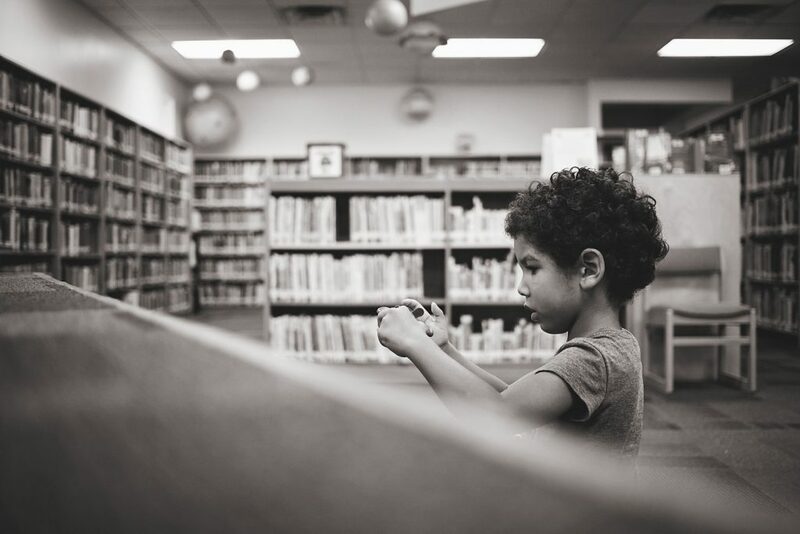 It’s hard to pinpoint a favorite homeschool subject. When it comes to going through our subjects we give language arts and math the most time. I couldn’t stand history growing up, but as I’m reading and teaching I love learning about all the things I’d long forgotten. Science is another one of my favorite homeschool subjects but sadly it’s also one I tend to neglect the most. I love S.T.E.M. topics (science, technology, engineering and math). Sometimes we’ll take a week and crack open a bunch of science experiments and see how much we can learn about different topics: From space to the human body, magnets and more. This week we spent some time learning about Rube Goldberg machines. You know, those complicated contraptions that are linked together and create a domino effect to complete a simple task, such a pouring a bowl of cereal. 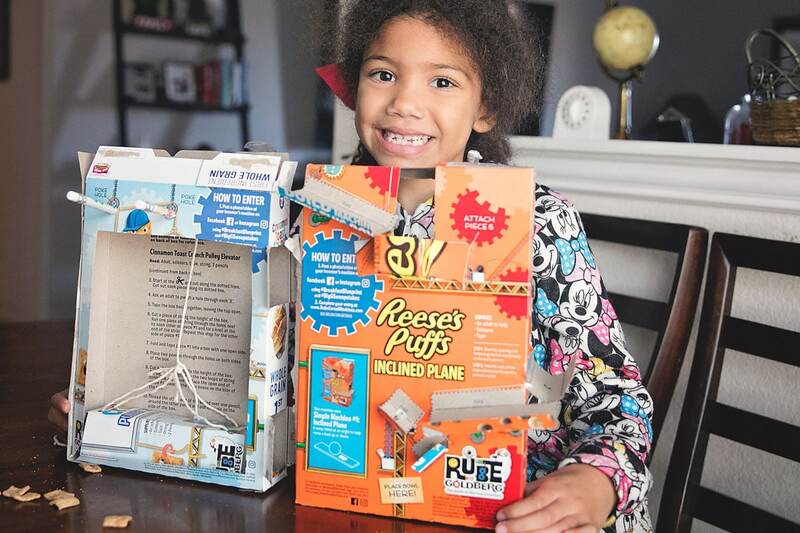 General Mills sent us six different newly released Rube Goldberg themed cereal boxes to help bring some education and fun to our breakfast table. Lil’ J lined them up and picked a couple projects to try (actually she wants to try all of them, but these are the two she’s build so far). She learned how to make a pulley and inclined planes. And now she can more easily spot machines that work that way in the real world. Here’s a little video of how she put them together! 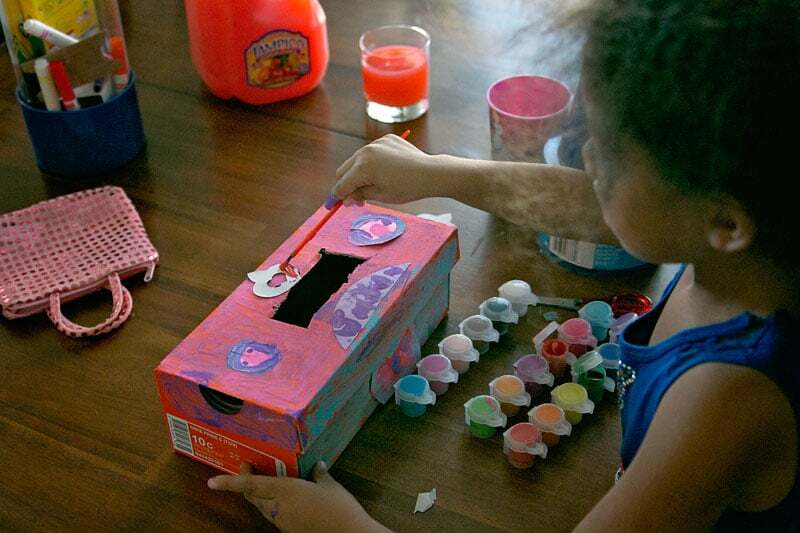 It’s a simple project that you can work on together for some fun bonding time and learning. Then enjoy some breakfast for dinner! 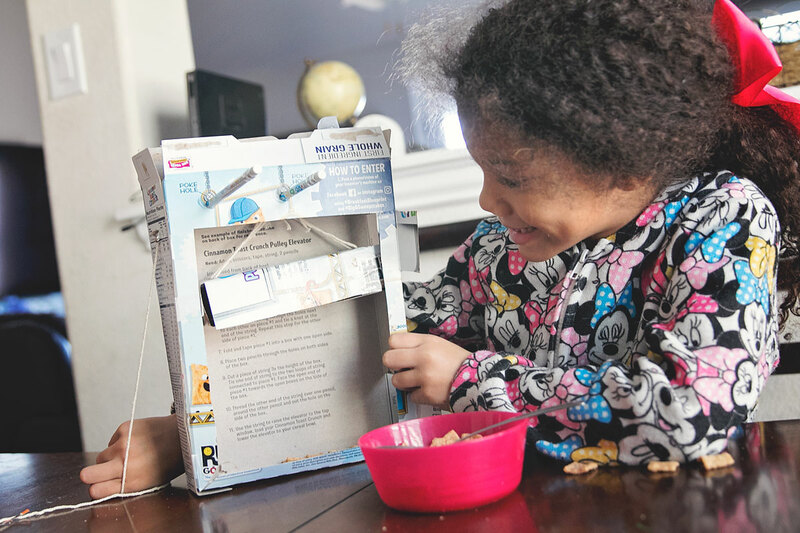 If you create your own General Mills Cereal box machine make sure you snap a picture because you can use it to enter for a chance to win a $20,000 college scholarship for someone in your family! You can find out more at www.RubeCerealMachine.com. Today’s post was sponsored by General Mills Cereal but these life lessons and awesome creations are all our own. When people ask about my plans to homeschool my son I can never give a straight answer. “He doesn’t really listen to me,” I usually say at one point. He doesn’t like to sit and draw, or follow my direction. My daughter LOVED to draw when she was four. She loved to cut and create art and she’d work on any project I’d give her. My son just is not that way. But you know what? He surprised me this week. I grabbed a new workbook I’d had on the shelf for months. 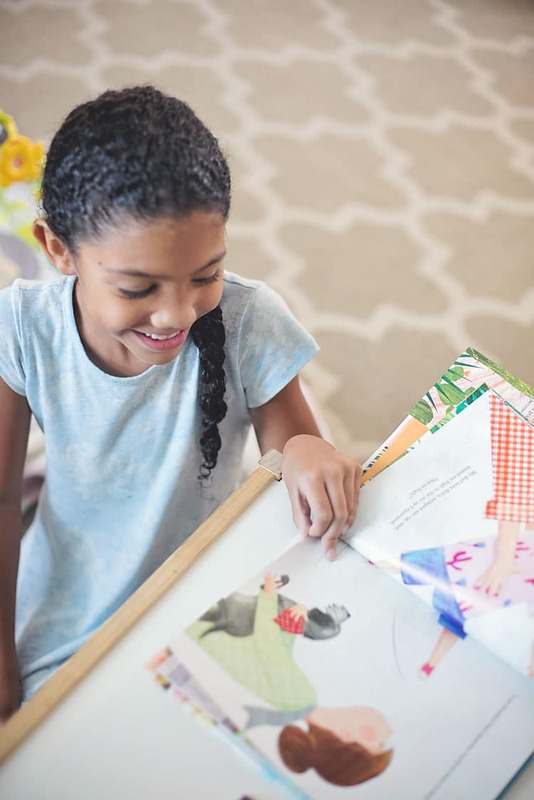 It’s a guide to teach your kids to read allegedly in just 100 lessons. I sat down on a bunch of pillows and asked him to come sit on my lap. I turned to the first lesson and began, half expecting him to run away before I finished the first question. But, he stayed and listened and participated. Halfway through he grabbed his stuffed shark to practice with us. And he asked me to talk in a “shark voice” while we finished. But he was all in. Focused, saying letter sounds and even grasping the concept of following multiple letters and saying their sounds. A skill my daughter didn’t have at that age. I don’t like to compare them but I think to some degree it’s natural. My daughter is bright, inquisitive, creative and talkative. My son is detail-oriented, playful and extremely silly. 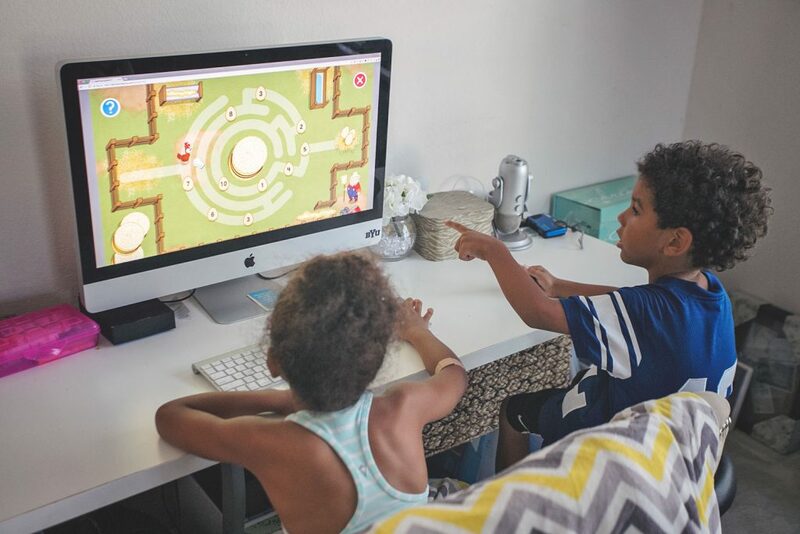 One thing I’ve loved about homeschooling is finding out what excites my kids and gets them enthusiastic about learning then tailoring the way I teach to that. My daughter has shown a big interest in mythology since we’ve been reading the Percy Jackson series. This month my daughter and I have been doing a lot of our lessons surrounding Greek mythology. We tie in spelling words, language arts, hand writing and even science and math. With my son I help teach him letter sounds and addition and subtraction using snacks and his little Cars characters. 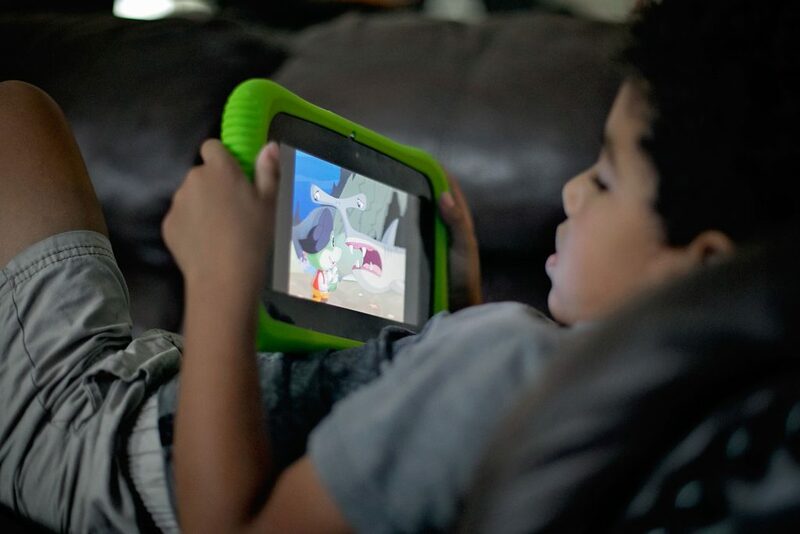 On their LeapFrog Epic they both love using their their LeapFrog Epic Academy Edition tablet for entirely different reasons. On her profile my daughter loves to play all of the games that increase in difficulty and adapt to her level as she goes. We don’t have a video game system so all of these new apps are so fun for her. I don’t think she even realizes they are learning games, or if she does, it doesn’t keep her from wanting to play them. My son though, using the exact same tablet, on his profile plays with it differently. He isn’t as into games yet, or at least hasn’t found one he wants to keep playing over and over. However, he loves the LeapFrog Factory videos. Especially the one with a shark that looses his teeth and they sing and count how many he needs. And another that goes through all of the letter sounds. He’s always enjoyed learning through music. I should make some time to snag it from my kids and play some of the games myself so I can find some I think he would like and set them to the top of the navigation menu on his profile. 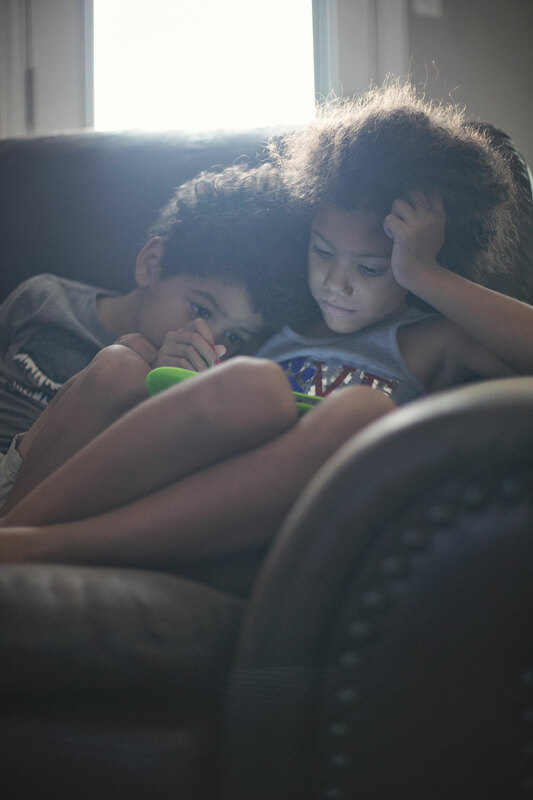 Big T is 4 and Lil’ J is 7 and they learn and play in different ways, so it’s not always easy to find a gift both of them love. They both consider the LeapFrog Epic Academy Edition a winner and I’m pretty thrilled about that. Now I just have to decide if should add another to the Christmas list or if I continue to let them master the art of sharing. I’m passionate about getting my children excited about learning. That’s why I’ve partnered with LeapFrog for 2017, to share our journey to making learning fun and inspiring my kids to be the best they can be. 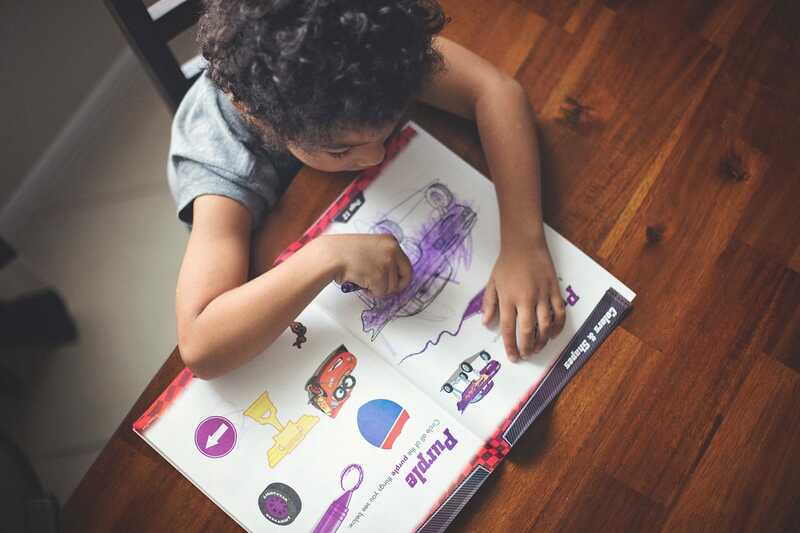 The LeapFrog Epic Academy Edition is a great gift for kids ages 3-9 that love to learn and have fun all at once. New customers also save 25% and get an extended free trial of LeapFrog AcademyTM when they register their LeapFrog EpicTM Academy Edition. 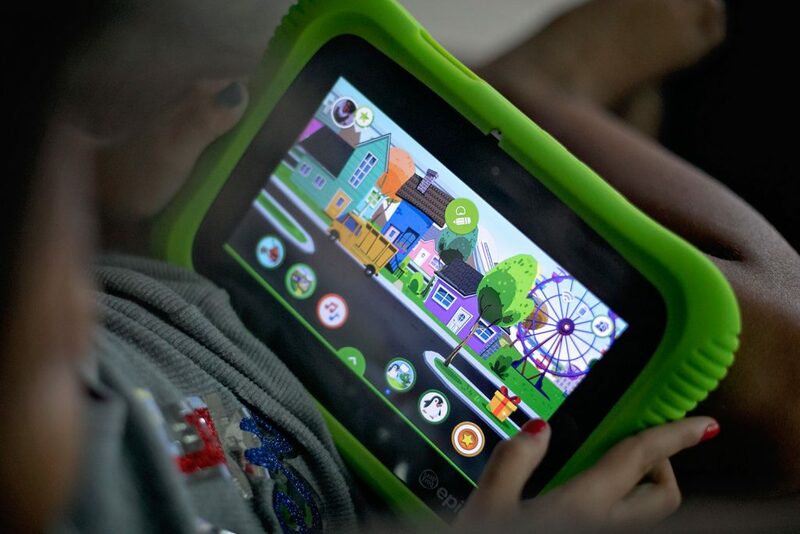 Purchase a LeapFrog Epic Academy Edition tablet and signup for a 3-month free trial of LeapFrog Academy, $5.99 per month after the trial period ends. 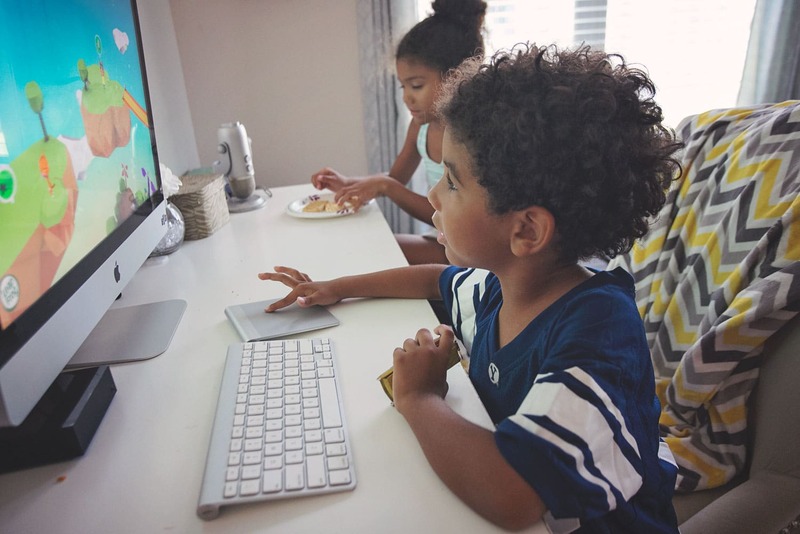 LeapFrog Academy guides kids on a variety of fun Learning Adventures that explore a blend of math, reading, science, creativity, problem solving and social-emotional skills, You can learn more about the program and sign up for a free trial here. As a little girl I always looked forward to the first day of school. I loved all the hype and excitement around back to school shopping for supplies and new clothes. Heck, I still get excited for this with my own kids, but the dynamic is different now that we homeschool. With public school there can be first day of school pictures, a new outfit, backpack, and so on. It’s not exactly the same with a class of one. 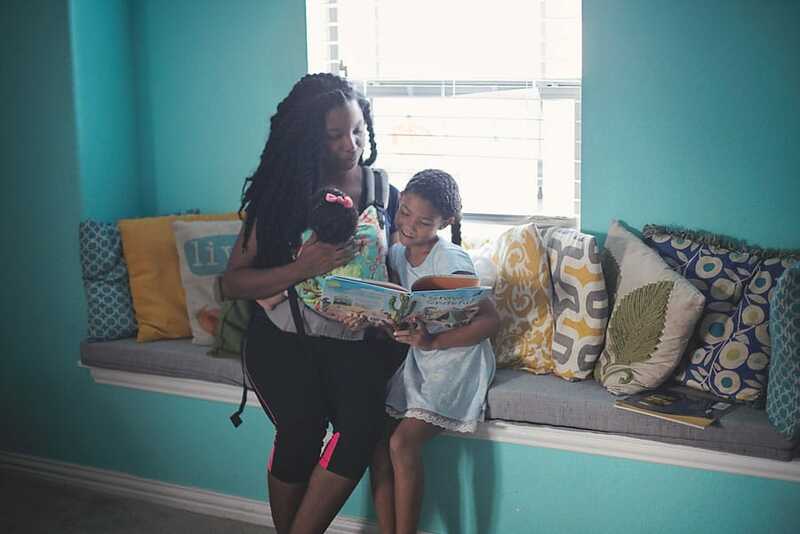 But just because you homeschool, doesn’t mean you can’t create your own first day of school traditions. 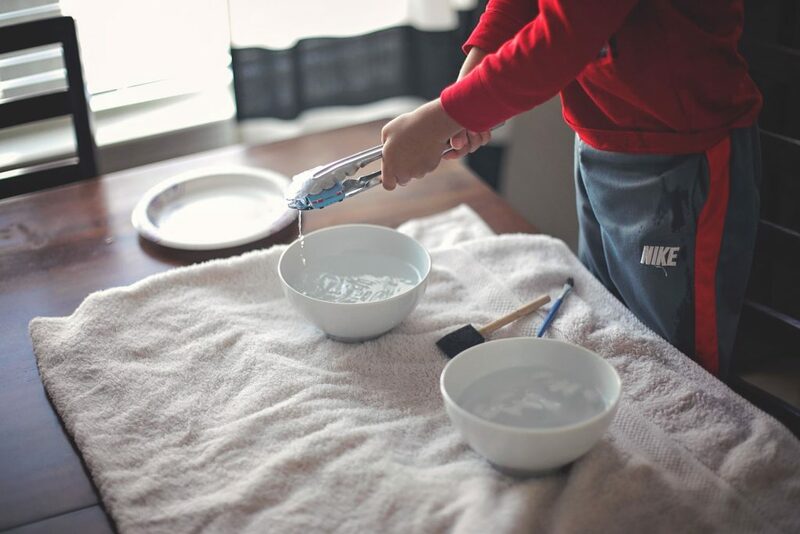 If you homeschool you might already have some first day of homeschool traditions that you do in your home. 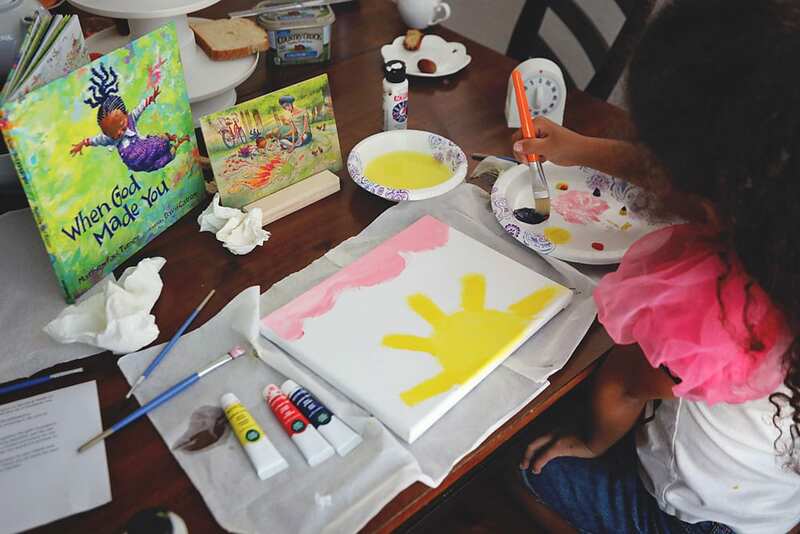 The idea of making the first day of school more exciting and creating fun traditions for you and your kids, can be so special. 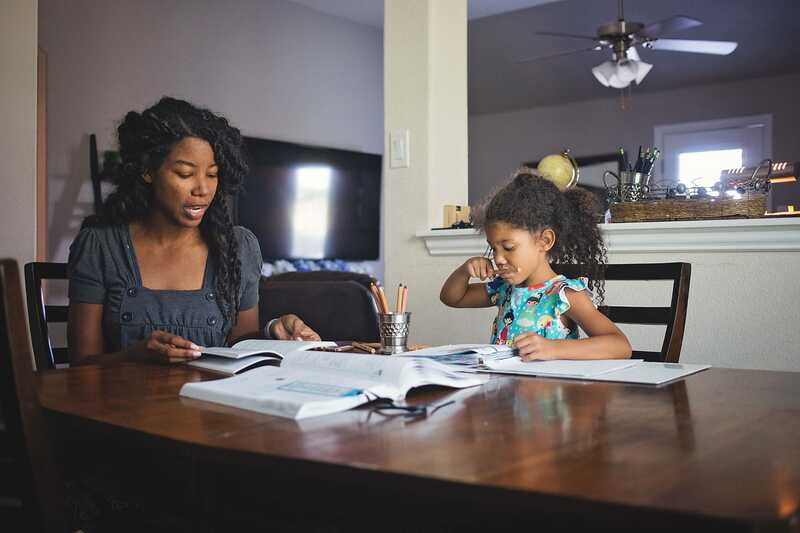 If you are about to begin your first year of homeschooling, or have been homeschooling a while and haven’t even thought about this, that’s ok too! 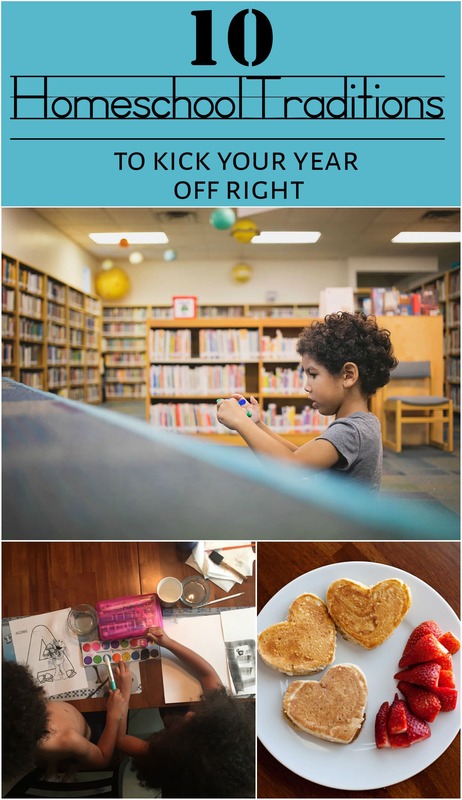 I have pulled together 10 fun first day of homeschool traditions you might want to do to start the year off on a positive note. Have fun and make a big deal of the first day (or first “official” day if you’re like me and school year round). Your kids will love it, and I think you will too. Find a shaded spot in the yard or somewhere in the house and take first day pictures. 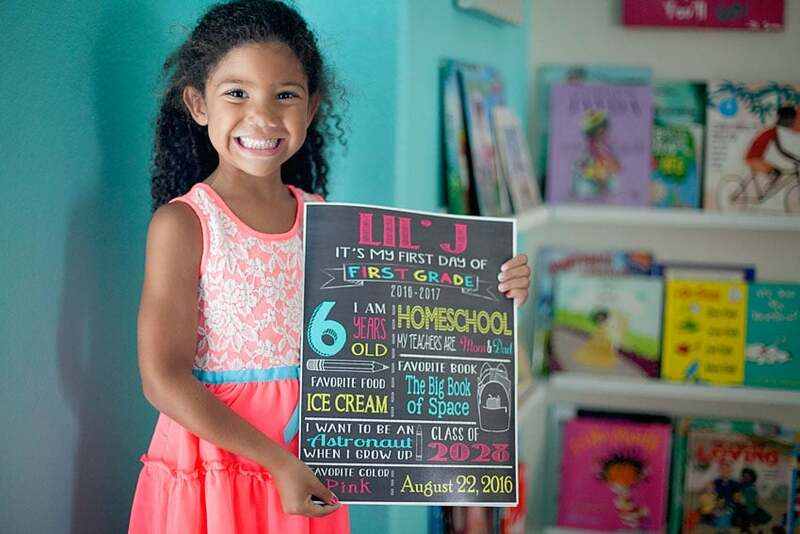 Grab a chalkboard and write first day or something clever along with the child’s grade. If you plan ahead you can order these milestone cards and have your kids decorate them before the first day. Or have a custom Etsy printable designed first day sign like we did last year. This is a fun way to do something special, and you will be able to look back over the years. I love doing the first day and last day of school. 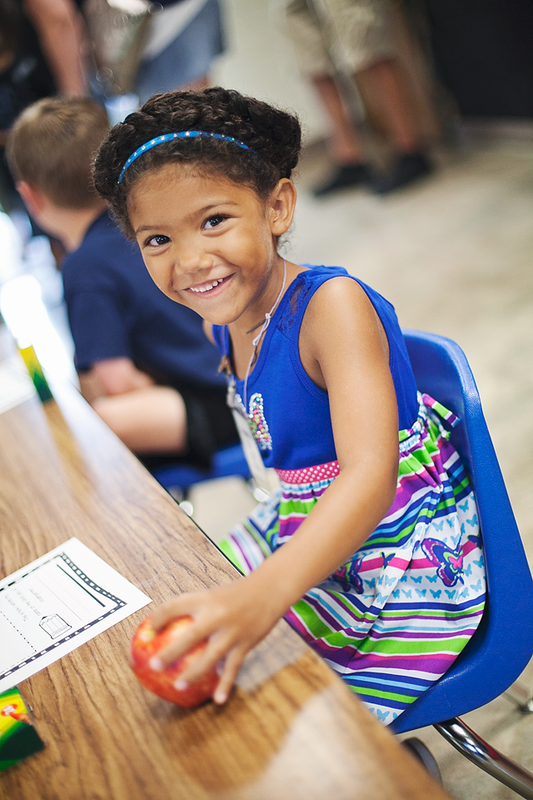 You will be amazed at how much your child will change during a school year! If you have a designated area where you do school work, maybe get a banner or add some fun decorations for back to school. You can shop online at like Amazon, or find decorations at your local stores. This can be a fun way to make them feel extra special! 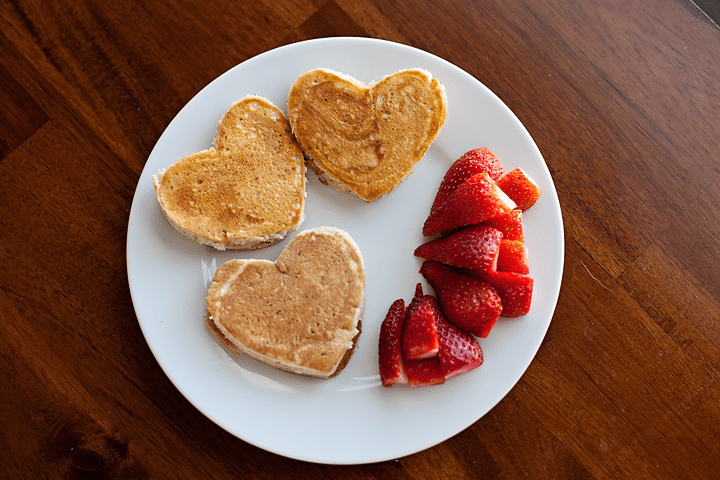 Do you have a special breakfast you like to make? If so create a fun breakfast for your kids, as a way to celebrate the new year. Some fun breakfast at home are sprinkle pancakes, a breakfast casserole, french toast, or anything else your family loves. We love making heart-shaped or Mickey Mouse waffles with fruit but we also enjoy our local donut shop. So heading out to pick up your favorite muffins or donuts is totally another fun option. Have some fun school supplies waiting for your child. This could be a pretty and fun binder, neat pencils, anything to make a big deal about the start of the new year. If you present them in gift wrap or a gift bag it can make opening them even more fun for the occasion. We kicked off the official school year last year with a poetry tea party. Gather up your favorite poetry books, or check some out from the library, set out muffins, fruit and other snacks and don’t forget the tea (or in our case, apple cider)! 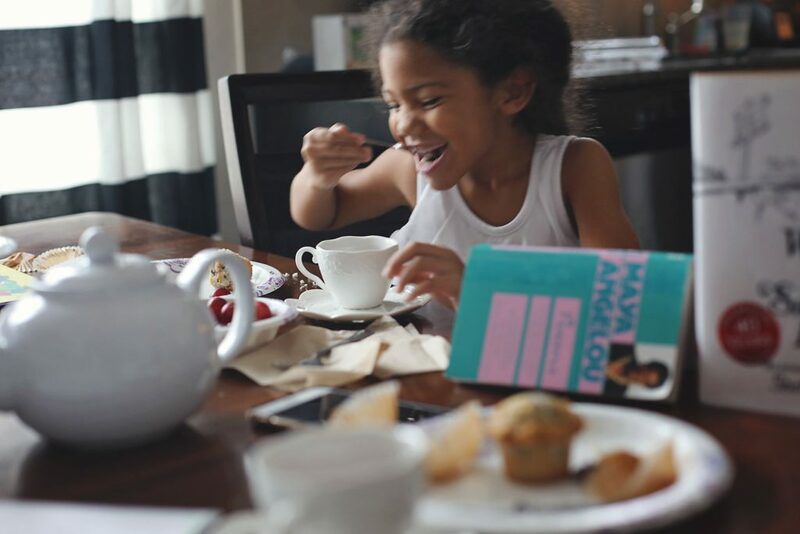 Take turns choosing poems to read aloud while enjoying the warm drink and snacks. We even kicked ours off last year with a candle and “happy first day of school” song. We continued to have poetry tea parties about once a week through the rest of the year. You know I love setting goals. On the first day of school sit down with your child/children and let them create a few goals for the year. Maybe they want to read 20 books, or learn Spanish, or learn the capitals of all 50 states. Do some short term goals and even long term. 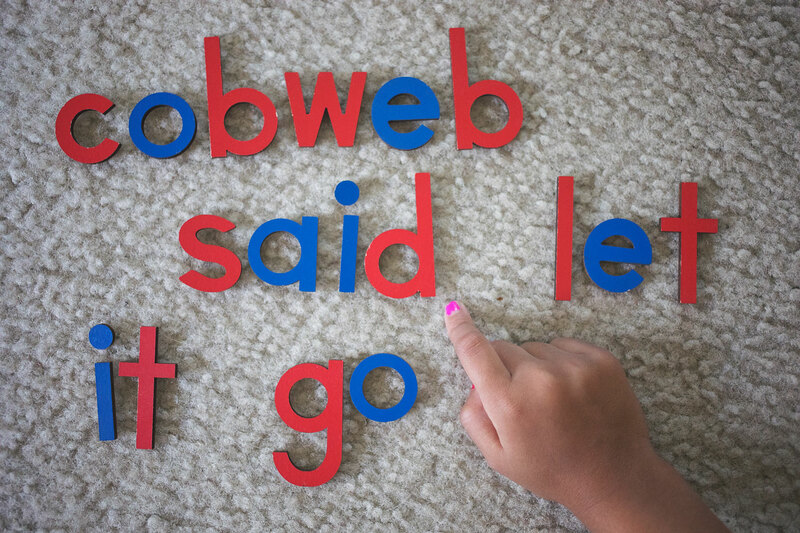 It is a fun way for your child to feel inspired and reach to meet those goals throughout the year. Starting a new book is a fun way to kick off the year. 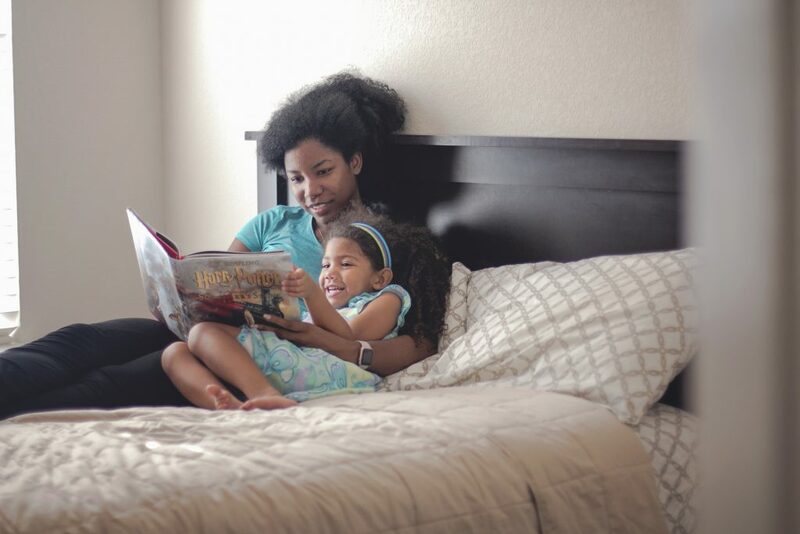 If you aren’t reading aloud to your kids yet you totally should. Not only is it a great for their development but it’s a great bonding experience. You can choose a book together before the year starts, or pick one to surprise them with that you know you’ll all love. Find something small to give to each child. Then when school begins they will have a small gift to open! 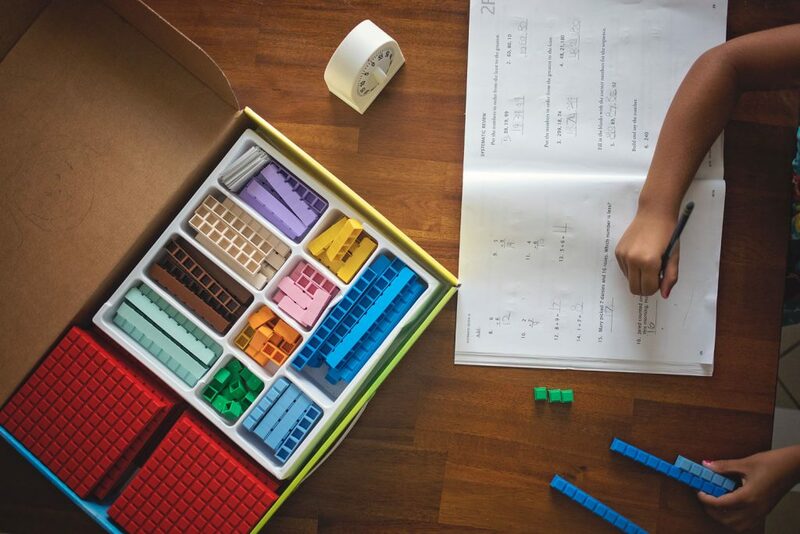 This could be something fun like a book, pencil box, a journal, new calculator, new shirt, a fun toy they can play with after school, or something else. It is a way to make them feel extra special. 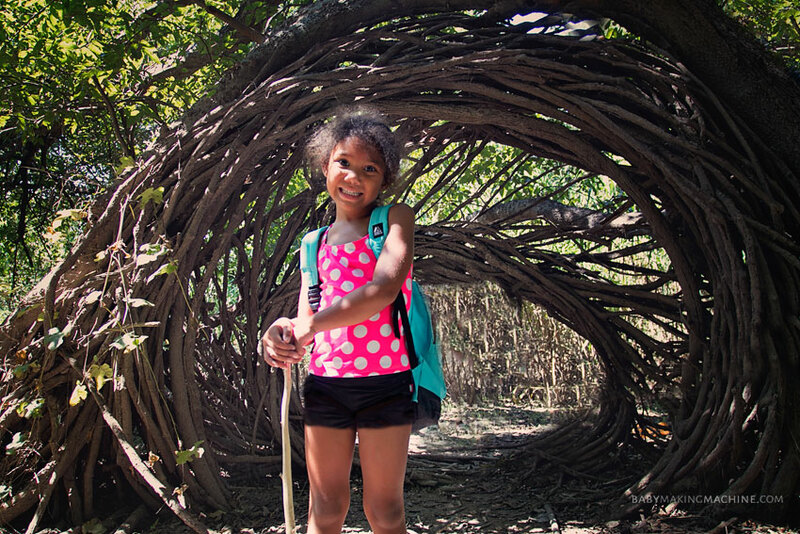 Surprise your child with a first day of school field trip. Whether it be to go to a local museum, library for a learning activity, a park, or somewhere else. It can be a fun way to kick the year off. 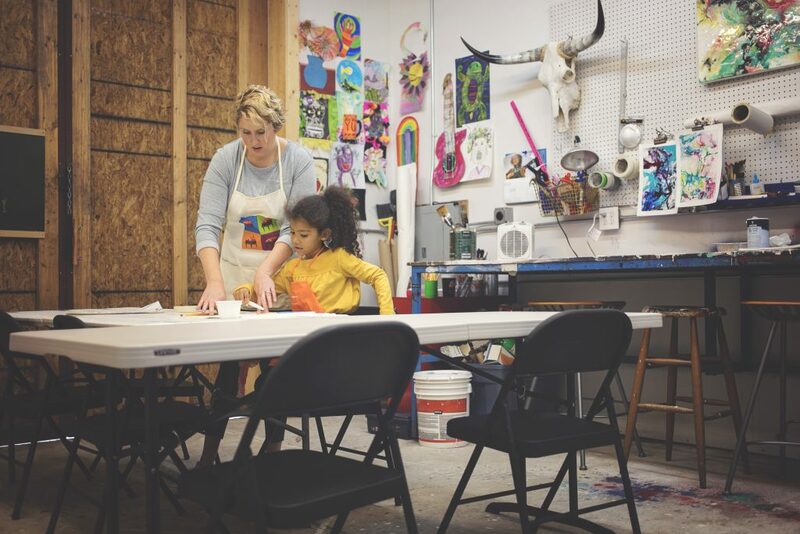 Just find a field trip that can tie into a subject you will start teaching on! 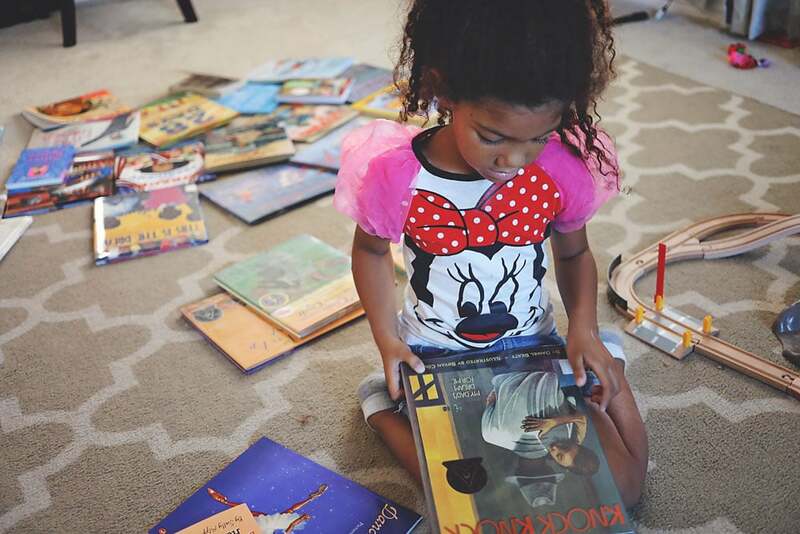 On the first day, create a time capsule with your child. You can have them write down fun things on what they like at the moment. Toss it in a shoe box and if you’re ambitious–bury it in the backyard, and try to forget about it. Then when the next school year comes around, you can go out and dig it up. If you’re like me you’ll hide it at the back of a closet and remember it when you finally clean it out a year or so later. Either way, you’ll get to see what has changed from the previous year. Some ideas: Favorite color, favorite subject in school, favorite food, favorite book, favorite movie, etc. Have them sign it and then fold up the paper and toss it in a box and bury it or even hide somewhere in the house! Hopefully these give you a starting point. And if you have your own first day of school traditions (homeschool or not) I’d love to hear them!